President Trump, who has been vocal in condemning the yesterday's attack carried out by the 29-year-old man near the World Trade Centre, also called for sending the attack suspect to Guantanamo Bay. 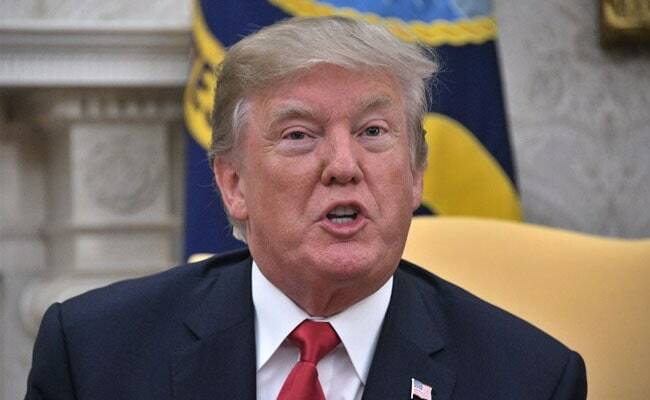 Washington: US President Donald Trump today called for an immediate implementation of tougher "extreme vetting" procedures after an-ISIS inspired Uzbek man killed eight people in New York, with several lawmakers backing him over the issue. Sayfullo Habibullaevic Saipov, an Uzbek immigrant was today charged with terrorism offences in connection with the attack. "The United States will be immediately implementing much tougher extreme vetting procedures. The safety of our citizens comes first!" President Trump tweeted. The United States will be immediately implementing much tougher Extreme Vetting Procedures. The safety of our citizens comes first! The White House Press Secretary, Sarah Sanders, said some of the specifics for extreme vetting would be enhancing the collection and review of biometric and biographical data, improving intelligence streams, improved documentation requirements and verification, improving information sharing with partner nations. It will also include an overall heightened scrutiny and more thorough review procedures for Customs and Border Protection (CBP) and other agencies that would play a role in that process. The ISIS-inspired terrorist attack, she said underscores the need for the most careful vetting of who enters the United States. Several lawmakers came out in support of President Trump on the issue. Congressman Mike Rogers said no amount of political correctness from Democrats and the liberal media elite would stop violent Islamic terrorists from trying to kill Americans. "The attack in New York City yesterday is evidence that everything President Trump is advocating for is exactly right and needed. We must have extreme vetting. We must reform our broken immigration system especially by getting rid of the visa lottery program and chain immigration." Congressman Scott DesJarlais said that it was shocking that the country continued to ignore threats of Islamic terror. "Federal authorities were aware of the attacker's terrorist connections, before he rammed his truck into a peaceful crowd," he said. But, American Civil Liberties Union (ACLU) opposed President Trump's extreme vetting plans. "Trump's reaction to the tragedy in New York represents a trifecta of unconstitutional and wrong-headed policies. His call for more 'extreme vetting' and an end to the diversity visa programme - which will unfairly target Muslim and African immigrants - would double down on his Muslim ban and anti-immigrant policies," said ACLU executive director Anthony D Romero. "Sending Saipov to Guantanamo or treating him as an 'enemy combatant' would violate due process and the rule of law. The FBI and our federal court system are more than capable of dealing with terrorism cases, and Guantanamo was shown long ago to be an epic failure. It's a shame that Trump is using this attack as a platform for pushing his anti-immigrant, anti-Muslim agenda," he said.